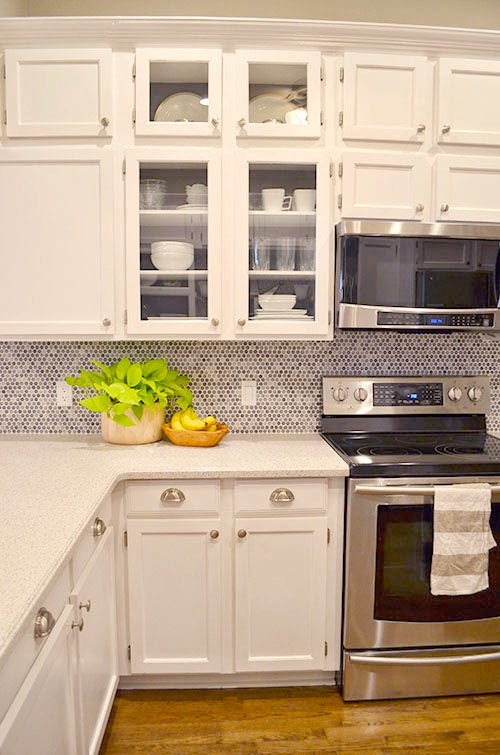 When we shared our kitchen cabinet makeover a couple weeks ago, I was on the fence about keeping the old travertine backsplash. Well, I hopped off the fence and replaced it this weekend! Hooray for extremely affordable penny tile! I am now fully in love with our kitchen. It doesn't feel pieced together anymore; it feels like we designed a custom kitchen for ourselves. Here's the old backsplash that we inherited from the previous owners. 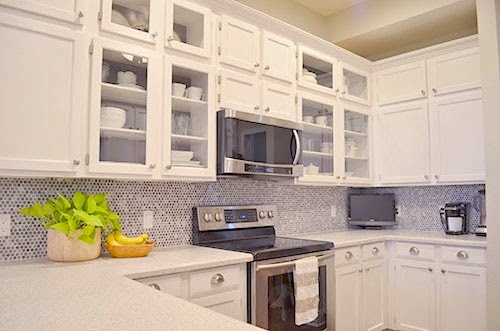 It's a perfectly nice backsplash, but it clashed with our newly painted white and grey cabinets. 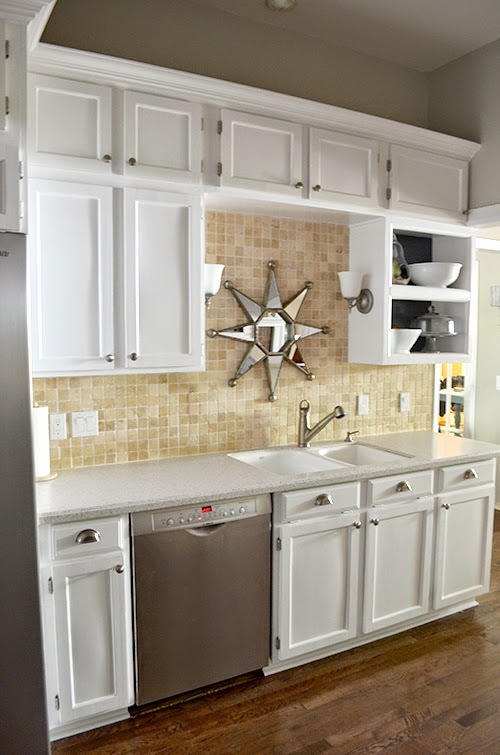 We put the new backsplash right on top of it, which made the whole project fairly simple. 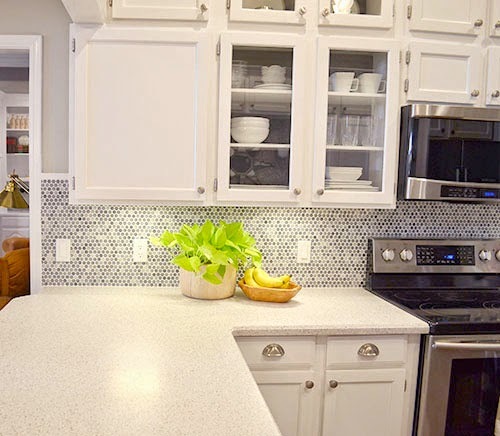 My dad helped us out with the backsplash – thanks Dad! This is the same tile (grey penny porcelain mosaic from Floor & Decor) we used for the guest bathroom makeover. 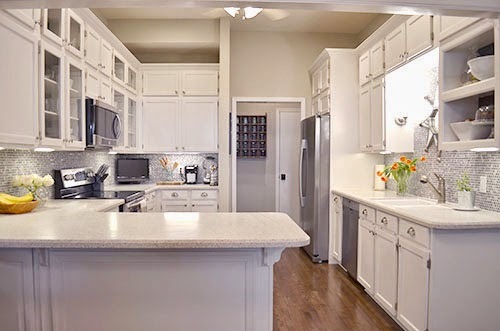 I loved it so much in that room, and I knew it would be perfect for the kitchen. Plus, it's darn near impossible to beat the $3/sq ft price tag. Our store was running out of the tile, so we bought every last bit. 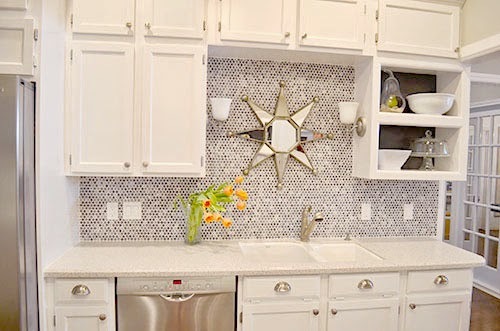 And we needed almost every little piece to finish this backsplash! For the grout, we used "Bright White" sanded grout from Home Depot. 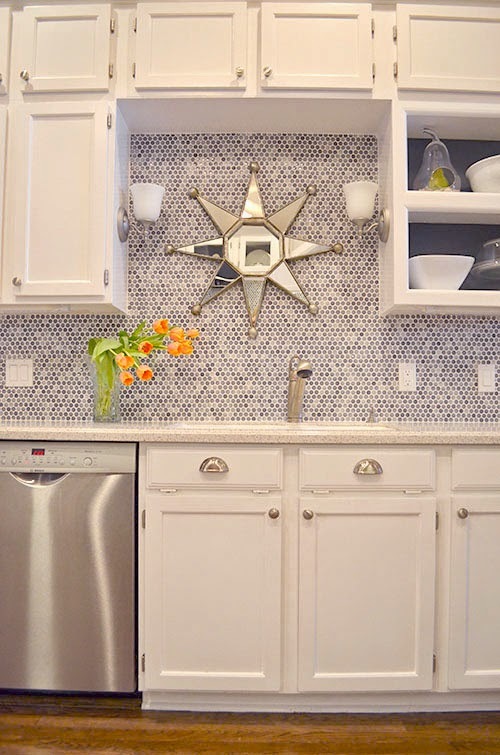 The grout is so important with penny tile because the round shape leaves a lot of room between tiles. 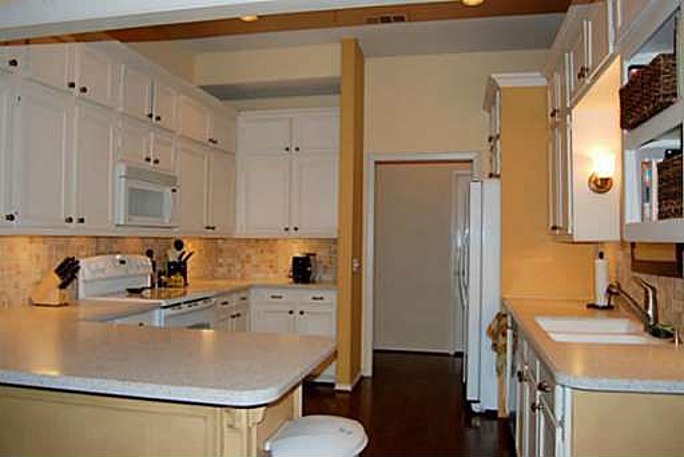 It's becoming harder and harder to remember what this kitchen originally looked like when we bought the house. It was so much darker.Three shades of yellow on the walls? No thanks!